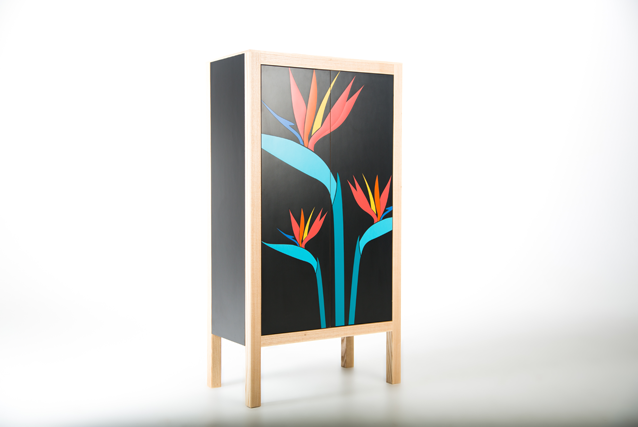 Birds of paradise Cocktail cabinet. 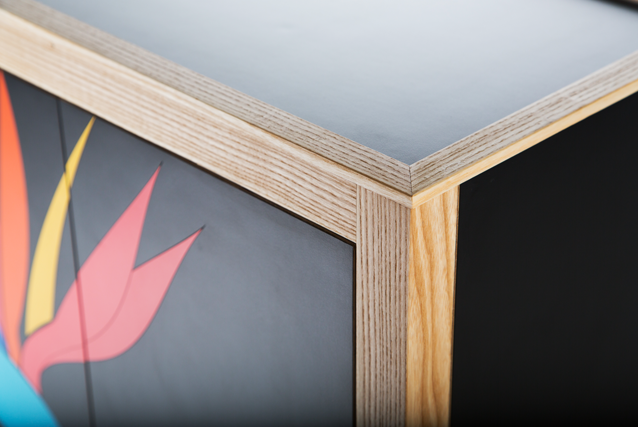 Solid Ash, Birch ply and Formica laminate. 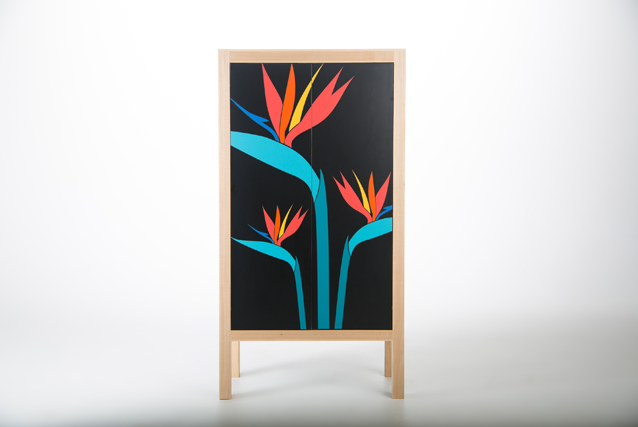 The Birds of paradise motif is cut out , etched and hand inlayed formica. It is our own unique modern marquetry technique and craft. 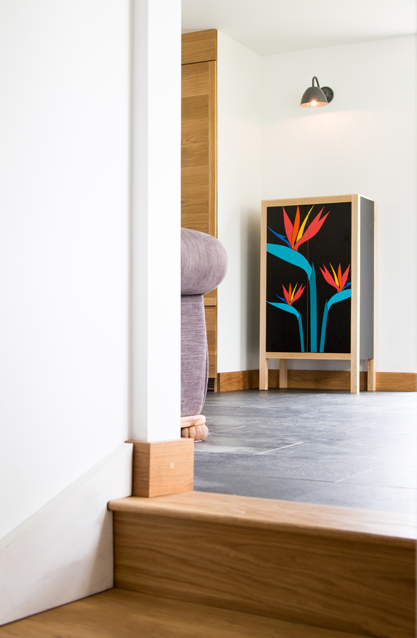 This cabinet has been designed to fit in to smaller spaces, giving you height as well as a great looking centre piece. 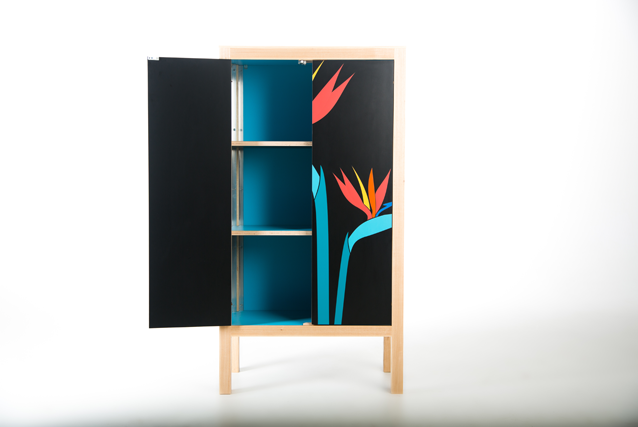 The doors have push catches, revealing a bright Carribbean blue interior with height adjustable shelves . The laminate will stay fresh forever, it will never fade or look tired. It is easy to maintain, wipe clean and heat resistant. The top is a usable surface for plants, cups, mixing drinks etc. Each carcass is made a by a local craftsmen. 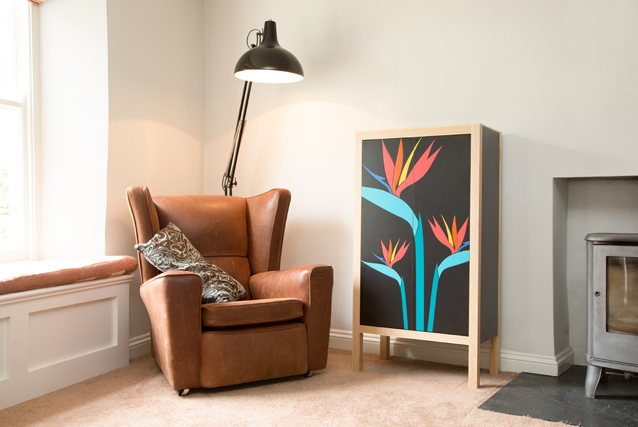 Combining both the skills of precision cabinet making and our unique marquetry. This piece is a modern collectable.